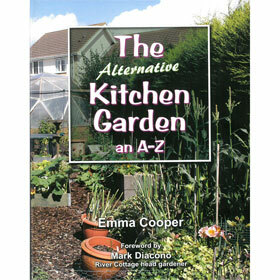 In The Alternative Kitchen Garden: An A to Z, Emma Cooper introduces us to her diverse back garden of exotic food and sustainable gardening. With easily accessible A-Z information and beautiful colour photographs this is an entertaining and very useful guide for anyone wanting to grow their own. Paperback: 378 page full colour, perfect bound book.